Poets belonging to various countries will express their feelings towards humanity in front of the audience which will create a sense of unity. Sabad- A World Poetry Festival aims to present multiple voices of many tongues and visions, styles and structures. 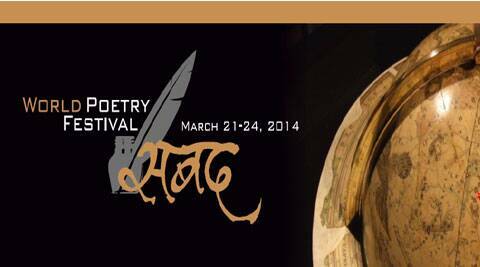 50 poets from 21 countries, including India are participating in a festival of poetry focussing on world peace and unity organised by the Sahitya Akademi in New Delhi. Sabad- A World Poetry Festival aims to present multiple voices of many tongues and visions, styles and structures to reveal the imaging, civilising and uplifting geography of contemporary poetic imagination of the world. “Verses which will be recited here celebrate the spirit of independence and will stand against the imperialistic tendencies of certain countries who take over the land of others,” Vishwanath Prasad Tiwari, President, Sahitya Akademi said. Tiwari spoke after inaugurating the four-day festival which ends here on March 24. Incidentally, the event is being held in the 150th Birth Anniversary year of Swami Vivekananda and the 100th year of Rabindranath Tagore receiving the Nobel Prize. “Through medium of poetry we want to establish unity of human beings. Poets do not belong to a nation. According to Rabindranath Tagore every country is my country,” Tiwari said. Prominent participants at the festival include George Szirtes (UK), Les Wicks (Australia), Kunwar Narain (India), Nikola Madzirov (Macedonia), Najwan Darwish (Palestine), Oscar Cruz (Cuba), Ingrid Storholmen (Norway), Pai Tafdrup (Denmark), Philip Nikolayev (USA) and Tanure Ojaide (Nigeria). “Poets belonging to various countries will express their feelings towards humanity in front of the audience which will create a sense of unity. The main focus is unity of human beings,” Tiwari said. At the inaugural session poets read out their poetries on a range of issues like war, human atrocities and poetry inspired by India in German, Arabic, Macedonian and English languages.